Have you considered the many benefits of online education? Most people understand that a good education is necessary for nearly any type of professional career, but there are a lot of roadblocks that people face when they actually consider furthering their education. Jobs, financial problems, time, and family responsibility are often the reason many find that they simply cannot return to school to further their education. Fortunately, with today’s technology anyone can take advantage of the benefits of online education. One of the main benefits of online education is that it gives everyone access to a higher education. For those who live in a major metropolitan area, access to universities and colleges may not be a problem, but those who live in rural areas often find this to be the biggest roadblock to attending school. Perhaps you live in an area that does not have a college campus close by, but it may not offer the education program that you need for the career you would like to pursue. Both of these are great reasons to consider the benefits of online education. Going to school online also offers flexibility. This is one of the most important benefits of online education for adult students. When you choose to continue your education online, you have the advantage of having access to your lessons at anytime, day or night. It isn’t necessary to have to quit your current job to enable you to go to school, nor will you have to neglect your family responsibilities. As long as you have a computer and access to the Internet, you can continue your education, and do it when it’s most convenient for you. 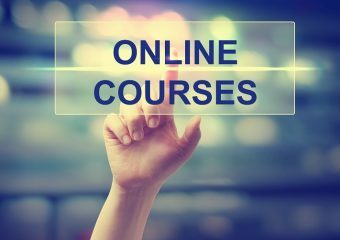 Another of the benefits of online education is that it can actually provide more interaction with the instructor, as well as the rest of the class. It is really a misconception that going to school online takes away from interaction. When going to school in a traditional classroom setting, you may have only a few moments before class, or after in which you can talk with your instructor. Even then, there will likely be many other students vying for the instructor’s attention. It can be difficult for an instructor to give adequate attention to every student under these circumstances, but one of the benefits of online education is that the instructor can give every student personal attention. Additionally, fewer people tend to take part in classroom discussions in the traditional education setting, but online there is less inhibition when it comes to getting involved with discussions. Another of the benefits of online education is the increased ability to focus on your assignments. Though there is more interaction with the instructor and others in your class, you can save that interaction for when it’s convenient, and focus on your assignments when that’s what you need to be doing. When you look at the many differences between the benefits of online education as apposed to a traditional education, you’ll see why it has become a popular option.